Nearly one year ago today I was in Guatemala to implement and oversee a survey designed to evaluate the impact of the Microfinance Program on the lives of our borrowers. CAUSE Canada has been operating this program for over 8 years in Central America, and more recently has longed to quantify the benefit of this program to our clients. During my time in Guatemala I had the extreme privilege of personally visiting with over 200 of these clients and their families. Every day I awoke enthused to visit with our borrowers, and after each meeting, I left inspired. As the goal of the program is to provide loans to women who would not otherwise have access to credit, we largely work with the poor and marginalized in remote communities. Despite these women being born into hardship, however, they were some of the most uplifting, generous hosts I’ve ever had the pleasure of meeting. One such borrower is Prudencia, pictured above with her granddaughter Elvira. Prudencia, Elvira, Prudencia’s husband and her daughter all live in a small shack made of mud bricks and a tin roof in the highlands surrounding the town of Todos Santos Cuchumatán. Before taking a loan from CAUSE Canada she worked on a coffee plantation several miles from her home. She earned Q 1,800 annually (approx. $327 CAD), and commuted on foot to work every day. 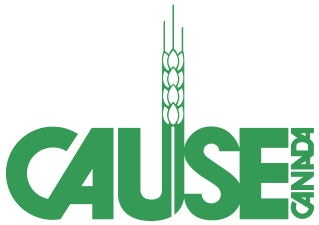 She has since worked with CAUSE Canada for four years, and now borrows Q 2,500 annually (approx. 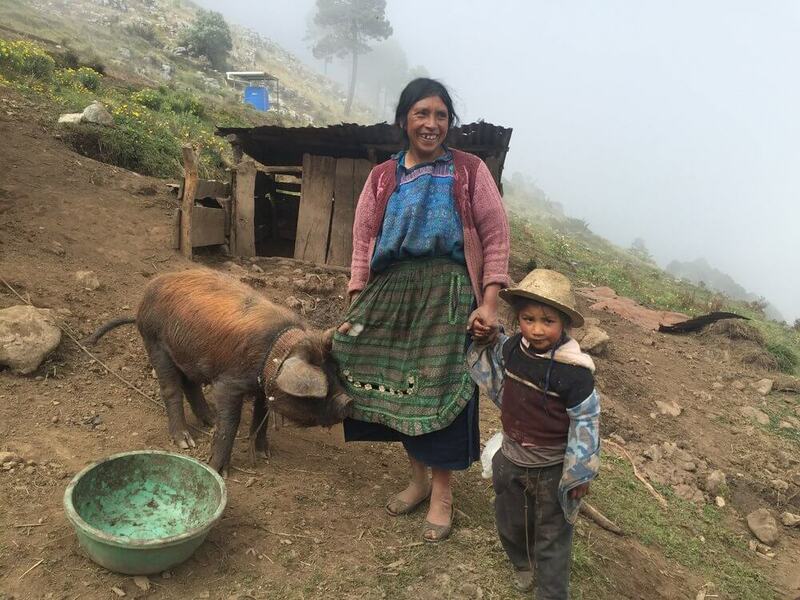 $455 CAD) to finance weaving of traditional garments and raising pigs from home. Not only has her annual profit increased by 78% to over Q 3,200 (approx. $582 CAD), she now no longer commutes and can spend more time with her family. Because of her hard work and dedication to her new employ, she has helped to increase her household income and bolster the quality of life of her family. While Prudencia’s story is inspiring, it is hardly unique. All 200 borrowers I met during my time in Guatemala had stories of hardship, exhibited grace and generosity, and worked tirelessly to improve the wellbeing of those they loved. I left Guatemala inspired and motivated to redouble my efforts in finding more funding for the program. It was clear that these women did not lack determination nor work ethic; all they lacked was opportunity.